Installation is quick and easy, and the unit is plug and play. Simply fit the bay into the space with the screws provided, plug the bay into the USB 3.0 connector on the motherboard, and you're all set. 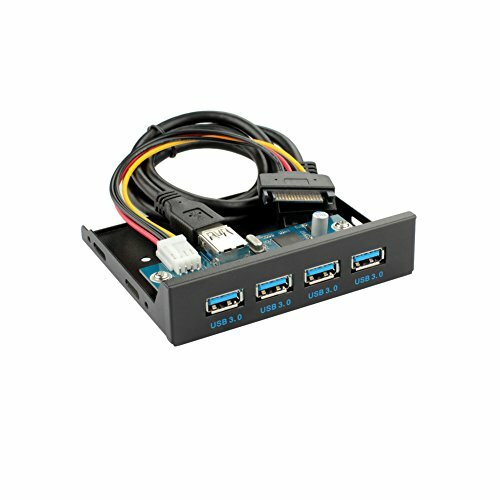 15-pin SATA power connector to power USB devices from your PC power supply. Super-Speed USB 3.0 supports data transfer speeds up to 5 Gb/s (maximum). Sturdy metal construction endures wear and tear, ensuring long-term use. 24-month warranty, and free lifetime technical support. If you have any questions about this product by Qicai H, contact us by completing and submitting the form below. If you are looking for a specif part number, please include it with your message.